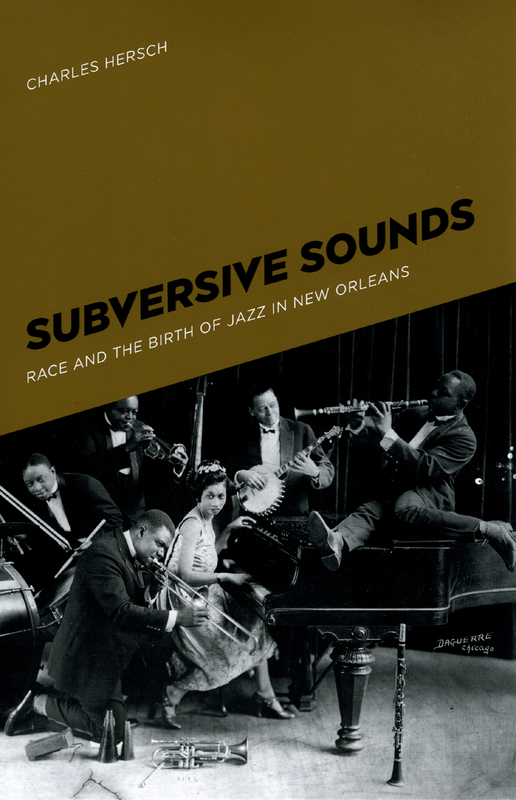 Subversive Sounds probes New Orleans’s history, uncovering a web of racial interconnections and animosities that was instrumental to the creation of a vital American art form—jazz. Drawing on oral histories, police reports, newspaper accounts, and vintage recordings, Charles Hersch brings to vivid life the neighborhoods and nightspots where jazz was born. This volume shows how musicians such as Jelly Roll Morton, Nick La Rocca, and Louis Armstrong negotiated New Orleans’s complex racial rules to pursue their craft and how, in order to widen their audiences, they became fluent in a variety of musical traditions from diverse ethnic sources. These encounters with other music and races subverted their own racial identities and changed the way they played—a musical miscegenation that, in the shadow of Jim Crow, undermined the pursuit of racial purity and indelibly transformed American culture. "This is a fresh and original analysis of the context of the birth of jazz. In addition to offering a new and intellectually stimulating interpretation of the role of race, politics, and social class in the music’s origins, Hersch is the first in over a generation to delve deeply into the racial aspects of the lives and work of the earliest jazz musicians in New Orleans." "A provocative new history. . . . Hersch illuminates how musicians of color drew from realities that few white people experienced in forging a form of dance music for people of both races. In that sense, Subversive Sounds is more than timely. . . . Tapping oral histories from the Hogan Jazz Archive at Tulane, Hersch orchestrates voices of musicians on both sides of the racial divide in underscoring how porous the music made the boundaries of race and class. He writes, too, with an edgy sense of how music functioned." "An important contribution to the social history of New Orleans and jazz." "This well-documented history contributes to the dialog on the role of race in the origins of jazz." "A significant contribution to our understanding of the longstanding--but understudied--relationship between music and politics. . . . Hersch’s] argument is convincing, his writing engaging, and his musical analyses compelling and seductive." "Hersch has the grasp of time and place that is the hallmark of all the most worthwhile historians. He has brought that to bear effectively here, and the results are illuminating for anyone wanting to understand how this music called jazz came to be." "Exhaustive research informs [the author’s] tightly orchestrated analysis of musical performances and deft portraits of individual musicians, which stand out amid the richly textured descriptions of New Orleans life."